In celebration of FFXV reaching it's two year anniversary, Square-Enix has released a free Wallpaper and uploaded a thank you video down by the English voice cast. When the Twin Moons shine, a Legend will be Born. 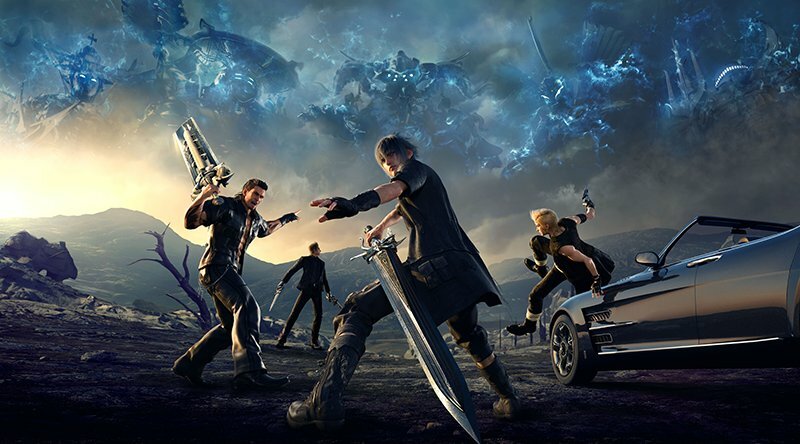 I know it's been awhile since the last article, it has been difficult getting back to this particular game because this is the first FF title which holds a very special place in my heart. It doesn't help that I already wrote an article on this game a few years back for the 25th Anniversary Fan Project, which I frankly felt was a pretty good article. I almost decided I should just write up a few more elements from the original uncut version of said article and just release it for this series, but that just felt incredibly lazy to me and I felt I could do something more for this series of articles than just talking about how they are great, instead focusing on why they are great and how the series builds upon itself and other games in the genre. So I decided it would be best to take another look at the game and maybe expand on some points I made before, but bring it together into a larger narrative. Square-Enix released a video today giving an overview of the upcoming Dissidia Final Fantasy NT game coming out in January worldwide for PS4. Originally an arcade game exclusive to Japan, SE announced earlier this year it was finally bringing it to PS4. The game is being developed by Koei Tecmo, but still retains most of the gameplay features and basic battle system of the original Dissidia entries with players using Bravery attacks to build up their bravery so they can use HP attacks to lower their opponents health. New to the game is the fact it's now a 3 on 3 team battles instead of the one on one of previous games. Players will have to choose between 20 characters, based on four battle types, to build a balanced team to fight off their opponents. Square-Enix revealed the prologue video for the Secret of Mana remake. Square-Enix is still churning out some great videos showing off the 3D remake for the SNES classic Secret of Mana. Today, they revealed the new opening/prologue video which depicts the battle between the Mana Beasts and the Mana Fortress. Wow, that's a mouthful. So perhaps I've been watching too many YouTube Vids about the Dark Souls games, and this topic comes up way too much, but I figure I'll give it a try for a series I've spent way too much time with. Though I will state right now that this list will omit the MMO bosses due to me never finishing any of them, so I can't make a fair judgement. I am also not going to count battles that are obviously fixed story fights such as Cloud's final duel with Sephiroth or the Yu Yevon fight since those battles are more about story than actual battle mechanics. Square-Enix Japan begins pre-orders for the Final Fantasy XV Ultimania Books. 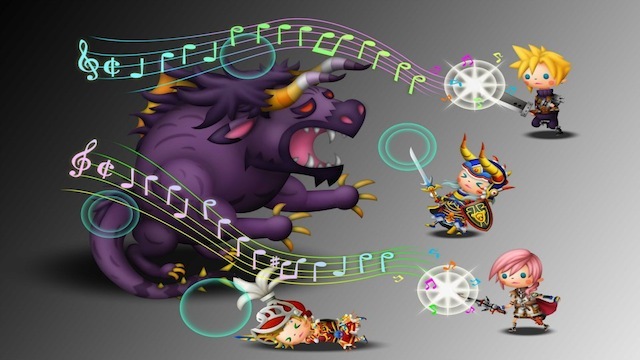 Ten Greatest Final Fantasy Tracks to play for Halloween. Final Fantasy has some great tracks over the years, and while creep and horror are not exactly the first words that come to mind when thinking of Final Fantasy, let alone it's sweeping scores of passion and adventure, the series has had it's fair share of tracks meant to unsettle the player. Yoshitaka Amano to release new artbook in August. Yoshitaka Amano, character artist and designer for Tatsunoko and Square will release a new art-book featuring illustrations from his career of over thirty years. Included in the book is an inside look into his creative process and highlighting how he goes from ideas, to sketches, to the full picture. Several designs from the early years of Final Fantasy's history will appear in the book including the Warrior of Light, Firion, Golbez, and more. Dissidia Final Fantasy is a Son of a Submariner! ...or Sandworm depending on the translation. Today, Square-Enix revealed the second villain to appear in their new arcade game: Final Fantasy's Joker expy Kefka Palazzo has entered the scene with a new debut trailer showing off his new spells and animations. New info on I am Setsuna's Battle System and Gameplay features. A demo version of I am Setsuna was available to play at PAX East recently and the good folks at Siliconera wrote a pretty snazzy breakdown of the game mechanics. Any one who has watched the trailers or spotted the screenshots will quickly realize that I am Setsuna based its combat system on legendary cult classic Chrono Trigger, but anyone who figured that was that and not to expect more from this "throwback game" will be pleasantly surprised to discover that while CT was the basis for the system, the developers expanded it in their own unique way. The game also borrows from Final Fantasy VII with the Spiritnite system; characters equip their skills and techs to their equipment much like how materia worked in FFVII, meaning you have to make choices as you unlock more and more abilities. Spiritnites can be produced at special Magical Consortiums located in towns, as long as you have the right materials to produce them. Darkness has invaded the world of Dissidia. 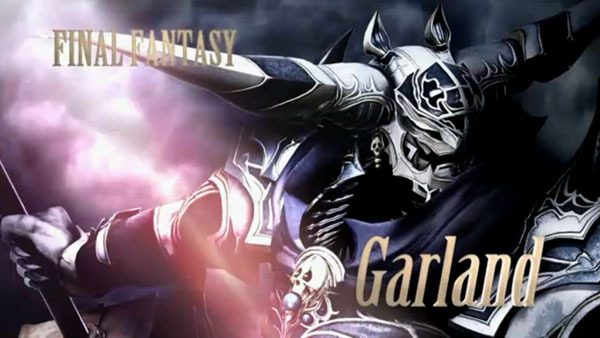 We have our first confirmed villain character in the form of Garland, and he looks even more dangerous than his past incarnations. We currently have fifteen confirmed heroes for the new Dissidia, including the original thirteen main heroes from Duodecim and Ysh'tola and Ramza. Up until now, we haven't seen any of the villains who made up the other half of the game's roster make an appearance in the new arcade game, until now at least. All times are GMT +1. The time now is 08:02 PM.